This is the 6th comic from my old comic series, My Toys are Alive! There may be a bit of a truce in my toy world between Autobots and Decepticons, but that doesn’t stop them from playing pranks on each other! 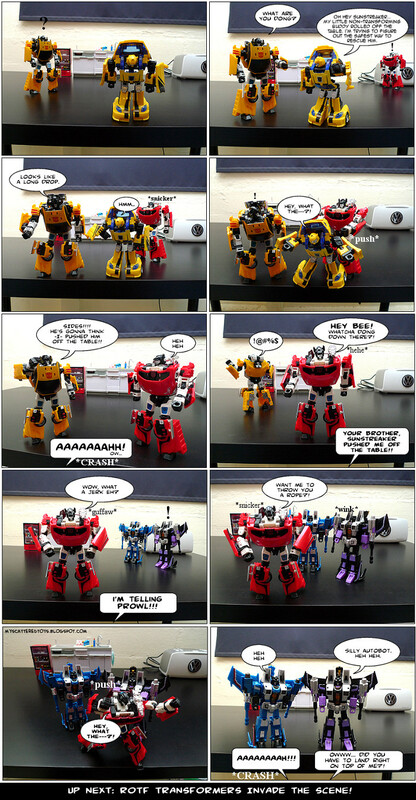 I’m not quite sure where the concept of Sideswipe and Sunstreaker being mischief-makers came from, but I kind of like it. I love the somewhat-cheesy G1 personalities that some of the bots have.